Find farm salvage and vintage items at Reardan Plowboy. If you're traveling more than a half hour to shop in a small town, you want to make sure the jaunt is well worth your time. Consider the following regional gift and specialty shops pre-screened: HURD MERCANTILE (30 S. 1st St., Rockford, Wash.) rewards customers with a gorgeous, diverse inventory of stylized home décor, furniture, and playful or meaningful gifts. Even loyal customers can vouch for finding a different "can't-go-on-without-this" treasure every time. REJUVENATIONS (160 Lake St., Reardan, Wash.) promotes its surprisingly vast (due to the massive wood shop in the back) gift and home shop as "New and Better Than New." Co-owners Coni and James Tanninen put together and teach the "Industrial French" look, a term Tanninen believes she may have made up herself. 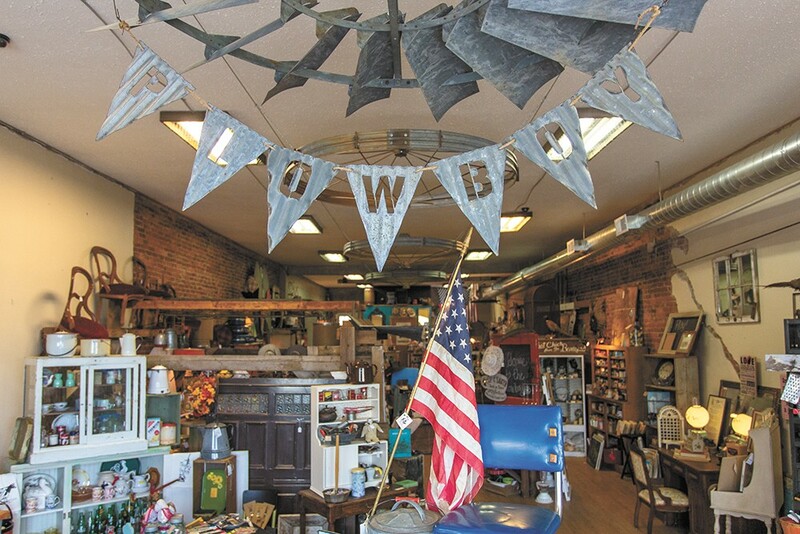 THE REARDAN PLOWBOY (245 W. Broadway Ave., Reardan, Wash.) is a new favorite destination among farm salvage and vintage-inspired fans, but owner Coquille Gallagher has been collecting and selling for years. "I started in 1998 because I didn't have money to buy the items I craved from trendy magazines ... I had to satisfy my desire to make a home and heritage on a budget." With dozens of vendors and consignors, she wants the same for her customers. Finding people who still scrapbook with physical photos and decorative paper may be reason enough to travel an hour to Colville. But the main business of FORGET-ME-NOT (509 S. Main St., Colville, Wash.) is trading, selling and restyling funky "junk" and vintage-inspired new pieces; adding charm and whimsy to homes and gardens.